Over the past few months, I’ve been approached over and over again for branding jobs that only cover the basics. I’d get on a call with someone who’d tell me they were just starting out, and could we do my signature service but remove parts, because they didn’t know exactly what they’d be needing yet and keeping it small would make it affordable. One of those clients was Annie. Annie has just moved from Germany to Switzerland to undertake an MBA program. She wanted to start a blog about her journey through studies, and to share her knowledge about personal development + work / life balance. 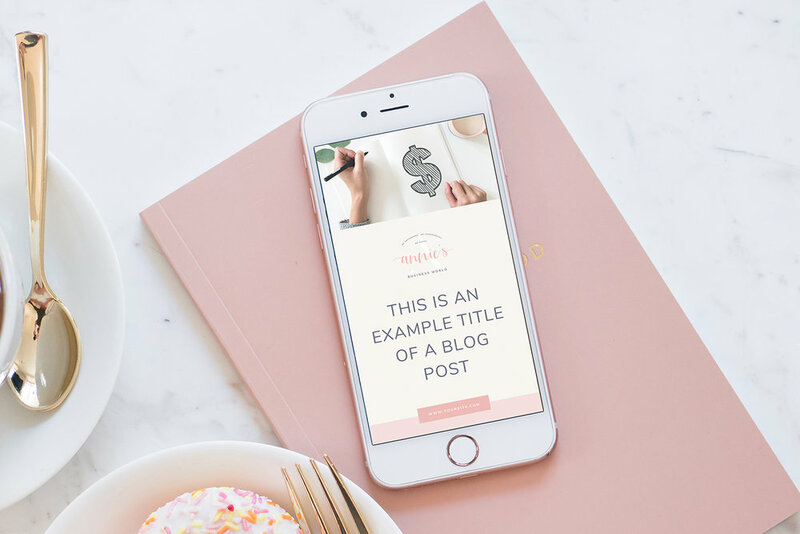 As she was just getting started, she knew she needed a logo, some branded colours and fonts, and since Pinterest was going to be a focus for her, some branded templates that would allow her to DIY her own graphics in Canva. Out of this need, my Starter Branding service was born. If you’re in the same position as Annie, you can read more about that by clicking here. If you’d like to see what we came up with, read on! A mood board to establish a visual direction for the brand. One logo variation (Signature Branding clients usually receive 2-4 different variations). A set of brand fonts. 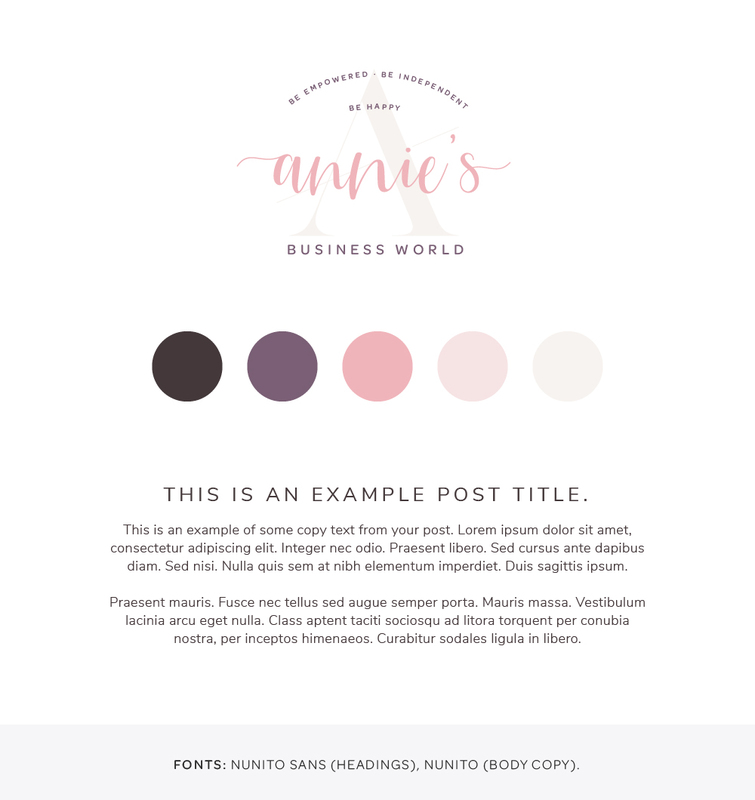 For Annie we made sure that her fonts would be available for free through Google Fonts and also on Canva. A Pinterest template with three colour variations to keep things interesting. Let me take you through each step of the process and why we chose to design each piece the way we did! I have each of my clients put together a Pinterest Board full of inspiration before I get working on their brand. This is the easiest way for me to see what kind of visuals they’re looking for, and I use the board to compile somewhere between 5-10 images into a cohesive Mood Board that clearly establishes the direction we’ll be going in with the rest of the designs. Annie’s Pinterest Board felt fresh and bright, with a predominantly white / light neutral base and pops of colour throughout. The board also featured bold text contrasted with some fun script fonts. 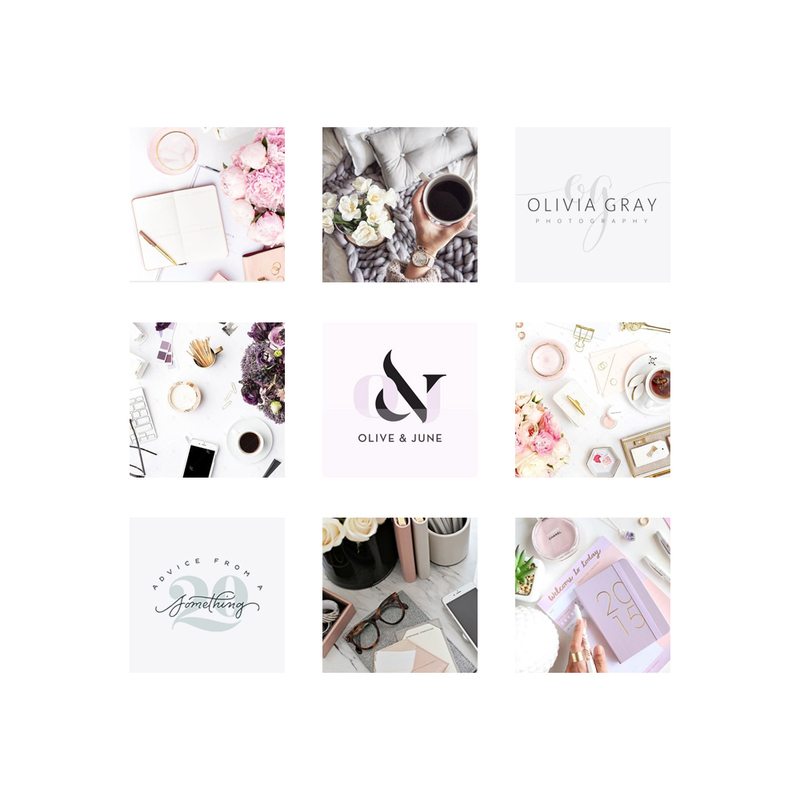 For her mood board, I pulled out some examples of logos with a balance of bold, sans serifs and script fonts, and some flatlay imagery that captured that white base with pinks and purples throughout. The imagery feels fresh and professional without losing the sense of fun and personality that we felt was important to keep, as business, especially in corporate settings has the potential to feel boring and stuffy. Annie is a bright, professional and friendly person, so it was important to us that we capture that in the design. In later stages, we’d end up swapping out some of the purples for a more blue tone, but the overall fun-professional vibe of the board was used to influence the design throughout. 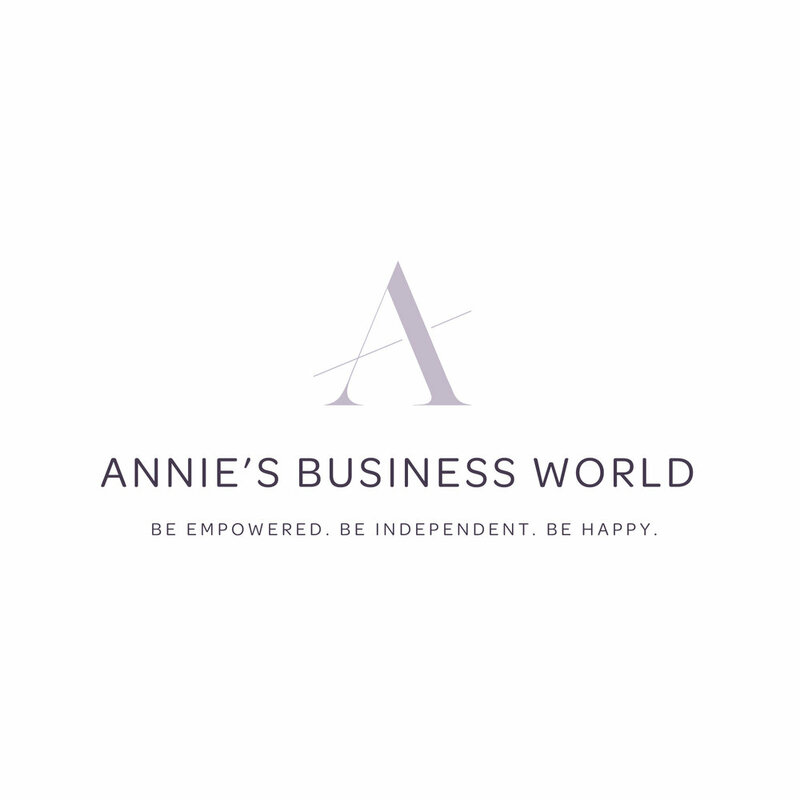 Next up it was time to design Annie’s logo, and it was important to Annie that we included her tagline of “Be Empowered, Be Independent, Be Happy”. 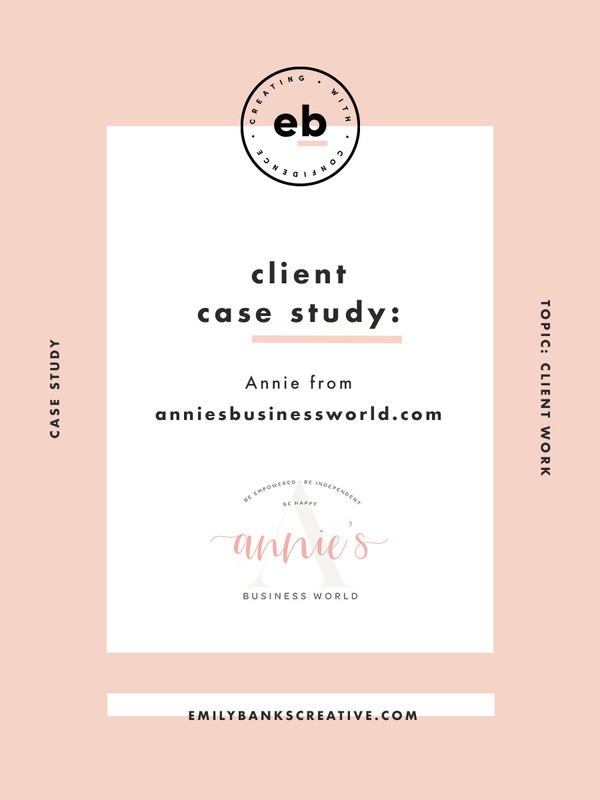 As Annie’s Starter Brand package only included one logo variation, it was important to choose a layout that would be flexible across as many space requirements as possible. For that reason, we chose to stack the logo elements in a rectangular format. The cool part about this design is that the ‘A’ from the background could be used alone in future as a brand mark. If Annie needs more layout variations in future, there are plenty of ways we could come back and add to or separate out the design that will allow her the flexibility she needs, which is one of the core reasons I put my Starter Branding package together. For fonts, we wanted to keep things feeling modern and clean. We also had limits we could work within - Annie needed her fonts to be free and available for use on Canva. For this reason I stuck with Google Fonts, and made sure to cross reference with Canva’s font database. We landed on Nunito Sans for Headings, and Nunito for body copy. They’re from the same font family, but Nunito is a little more rounded on the edges whereas Nunito Sans is squared off. Nunito works well for body copy as the slight rounding makes it more pleasant to read in long paragraphs. Nunito Sans on the other hand makes a great, bold heading. When working on Annie’s colour palette, we started out with a version (below, left) based on the colours + tones that featured in her original mood board - namely, pinks and purples with a light neutral base. During the process, Annie was concerned that the pink + purple combo might alienate some of her male readers, so after some tweaking we landed on a version (above, right) with a peachier pink and a navy blue. The palette is still feminine leaning, but keeps that door open for anybody. Personally I think colours are for everybody, but we’ve got some weird conditioned psychology going on in society so sometimes that has to come into play. 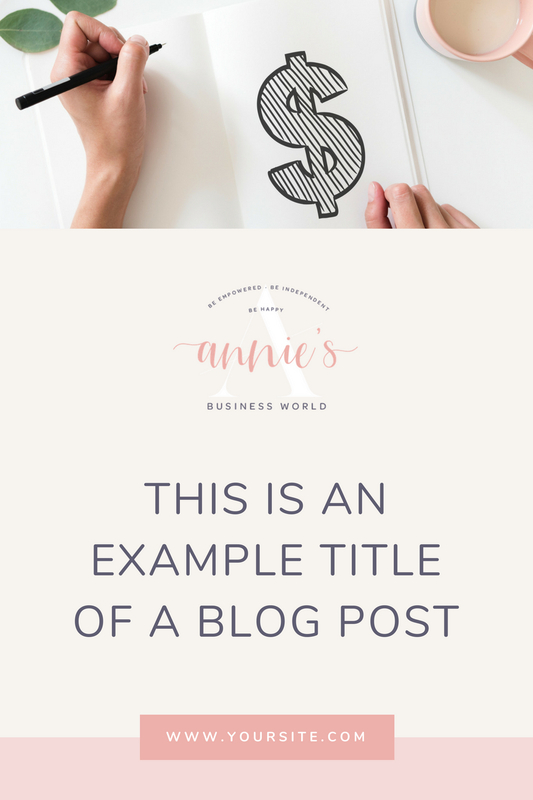 To kick things off for Annie’s blog, she decided on one piece of collateral - a simple Pinterest template that she could edit herself in Canva. We put together a template that included her logo, a space for a post title, her site url, and a space for a relevant stock photo. We also came up with three colour variations. Those three colour options plus the ability to switch out stock photos means Annie’s blog and Pinterest posts will have variety and keep things fresh while sticking with the same general theme. That’s a wrap on Annie’s Starter Branding! The great part about doing things this way is that if Annie needs more logo variations, custom elements like patterns or icons, or more pieces of collateral (think PDF templates, presentation slides, business cards, etc), we can revisit her project and make those additions. 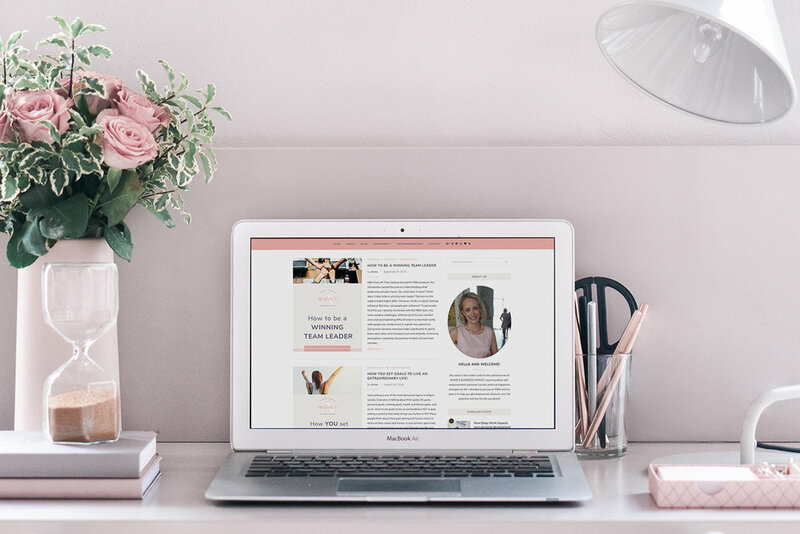 It’s the perfect way to kick things off for your business or blog without stressing over all the things you might or might not need and trying to balance that out with what kind of investment that will look like! If you’re in a similar position to Annie - keen to get started but not without a design that stands out and feels right - check out my Starter Branding page - there’s even a free welcome packet you can download with all the details. Learn more about starter branding! And if you’d like to follow along with Annie’s MBA journey and experience with personal development and career / life balance, check out her blog here! See you with the next project!